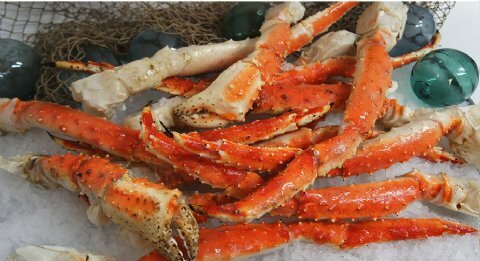 JUMBO Alaskan Red King Crab Legs - 5 lb. Crab Pack - with FedEx Delivery! 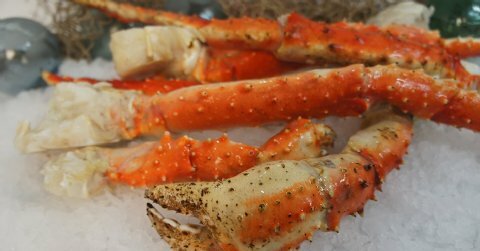 When you buy King Crab legs from Captain Jack’s you’ll understand why they are an Alaskan favorite! Our 5 lb. king crab gift box features locally sourced, wild Bristol Bay Red King Crab legs & claws. These are filled with sweet, tender white meat and make the perfect gift or an impressive entree for your next family dinner, party, or meal with friends! You'll be amazed by the quality and savor every bite of this seafood delicacy. The Jumbo Alaskan Red King Crab Legs - 5 Lb. Crab Pack contains claws and legs, each of which weigh approximately 2/3 to 1 pound each. FedEx Priority shipping included. Additional charge for delivery to Hawaii locations. JUMBO Alaskan Red King Crab Legs - 10 lb. Crab Feast - Free FedEx Delivery! SAVE BIG with our 10 lb. Jumbo Crab package! XL Alaska Seafood Feast - 4 lbs. Red King Crab, 2.5 lbs. Scallops, 2 lbs. Halibut, 2 lbs. 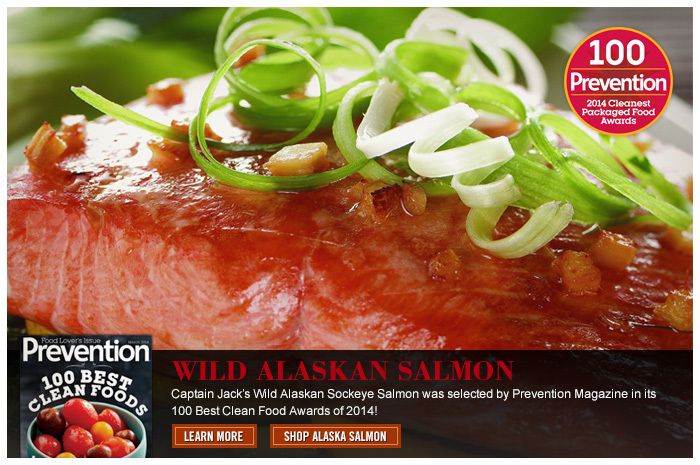 Sockeye Salmon - FedEx Delivery Included! This is the ultimate seafood lover's feast - SUPERSIZED! We've packed healthy portions of our most succulent favorites in one package - 2.5 lbs. of tender Alaskan Sea Scallops, 2 lbs. of snow-white Halibut fillets, 2 lbs. of rich Sockeye Salmon fillets, and 4 lbs. of Red King Crab legs & claws... Make an impression on your friends and family (or treat yourself) with this wonderful Alaska sized feast. Wild Alaskan Halibut - 10 lb. Highliner Halibut Pack - FREE FedEx Shipping! The term "highliner" is reserved for only the most successful fishermen. This highliner's package features 10 lbs. of our succulent Gulf of Alaska Halibut fillets - packaged, boxed, and shipped directly from our freezers to your front door. We sell the tastiest Alaskan halibut fillets, carefully cut from ideally sized halibut to ensure pristine texture, moisture content, and flavor. You'll join the highliner elite when you fill your freezer with our 10 lb. Alaska Halibut Pack. FedEx Priority delivery included. Additional delivery charges for Hawaii locations. Alaskan Halibut Nutrition Info.